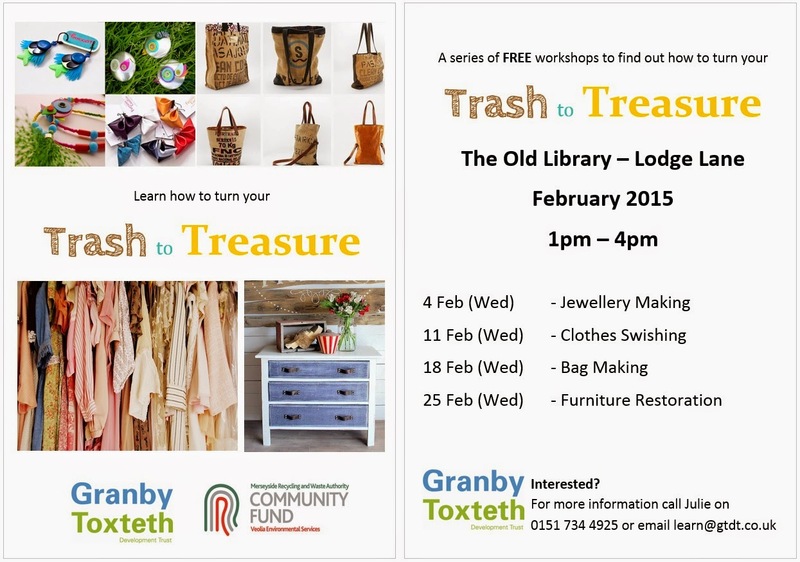 Today's Trash to Treasure workshop is focussing on bag making, whether that is having a go at making a bag from scratch or jazzing up an old favourite. Interested? Pop along to the Old Library on Lodge Lane at 1pm and join in!